The Corporation has been forced to defend its tradition of political neutrality, following outcry over Guildhall facilities being used to host an event with a right-wing Italian politician. 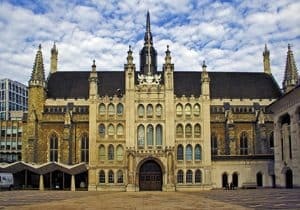 The City Corporation has been forced to defend its centuries-old tradition of political neutrality, following outcry from councillors over Guildhall facilities being used to host an event with a right-wing Italian politician on Monday. Senior politicians and City officials, including Nigel Farage, attended the working lunch for Armando Siri, a senator for Italy’s far-right Northern League party, which looks set to form a coalition government with the anti-establishment Five Star Movement party after months of political uncertainty. The lunch was hosted in the Aldermens’ Dining Room and allegedly organised by the Worshipful Company of Management Consultants to strengthen business ties between Milan and London post-Brexit. Northern League is known for its tough stance on immigration — leader Matteo Salvini has promised to deport 100,000 undocumented migrants within a year of taking power and has described Islam as “incompatible” with Italian values. Senator Siri is known as a pioneer of the party’s long-held plans for a universal 15% flat tax. Councillor Mark Wheatley, who helped to facilitate the event, declined to comment other than to clarify he was an attendee and not involved in the organisational aspects. He tweeted a photo from the lunch with the caption: “With a great group of business, political City and livery people for Senator @armandosiri”. Liz Green, a member of the Worshipful Company of Marketers who is standing for non-aldermanic sheriff in the elections taking place at the end of June, tweeted from the lunch saying she was “lucky to be invited by the WC Management Consultants”. Several other councillors and high-profile City officials were also in attendance. But some councillors have criticised the Corporation for leasing its facilities for the event, saying it is at odds with the authority’s apolitical stance, and could damage the City’s reputation internationally as an open, ethnically diverse world leader. Bit disappointed Mark. NL are bunch of Islamaphobic fash, which you are evidently not. Labour councillor Richard Crossan said the event had “rankled” him following repeated warnings from the Corporation that party politics have no place within its walls. 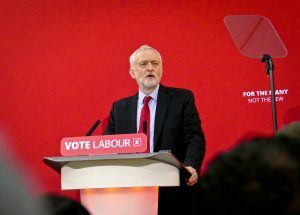 “What really bothers me is that the City is supposed to be fiercely independent — as a Labour member I must have been told that a thousand times — and they have measures to ensure that any event that we host is not political,” he said. 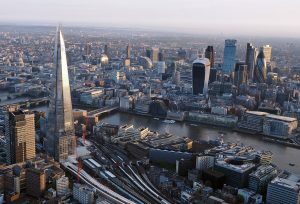 A spokesperson for the City of London Corporation described the event as “a private lunch organised by an outside body”. The spokesperson did not confirm whether the Worshipful Company of Management Consultants paid for the room hire. The Worshipful Company of Management Consultants did not respond to our request for comment.